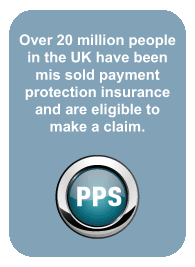 Payment Protection Scotland (PPS) believes in working in partnership with all clients to reclaim mis-sold payment protection insurance. We keep clients informed about the progression of their claim to ensure they are fully involved in the claims process. Operate on a NO WIN - NO FEE basis. Please contact Payment Protection Scotland to work in partnership with Payment Protection Scotland and reclaim your payment protection insurance today. We can start your claim from the moment you call.